In just within 48 hours, Madang town would have witnessed another outbreak of violence among settlers and residents of the Newtown suburb. The son of a policeman who was alleged to have burnt houses of settlers at Balasiko junction was hospitalized with knife wounds after he assaulted an elderly woman from the settlement. Police were called in on Sunday afternoon and quelled the situation from escalating. 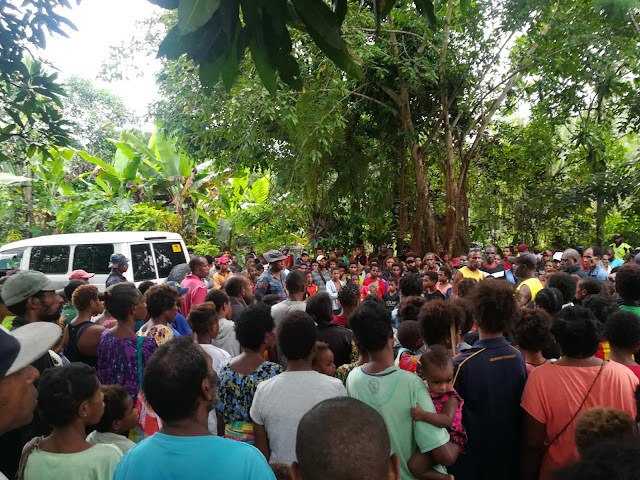 Early Monday morning the settlers were organizing a protest to the Jomba police station when Lae based Mobile Squad 13 were called in again to stop them. At around the same time, another group of protesters who were allegedly threatened by the son of a Madang politician were also getting ready to show their frustration. 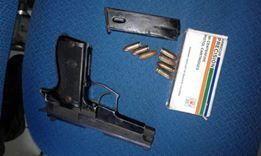 Lae based MS13 police later apprehended the suspect who was in possession of an unlicensed firearm and charged him with three counts under the Firearms Act and five counts of Summary Offences. The suspect assaulted and threatened the Madang Public Safety Police officers on the eve of Monday. Sources on ground says Madang residents have lost respect and trust on their local police police officers and have depended heavily on MS13 to attend to their problems. Madang's law and order problem has been escalating over the last five years. Petty crimes and home-brew production and consumption have been the main causes of violence. While Papua New Guinea's security forces have been deployed only to the Highlands region, police manpower and presence is lacking in other centres in the country. Madang needs a permanent mobile squad base and proper housing and police station facilities with additional manpower to counter the growing number of lawlessness in the township. The threatening of police officers by civilians with unlicensed factory made guns leaves a lot to be questioned about the safety of the residents and the business community in Madang. Police manpower from Lae have been frequently called in to assist when violence strikes the township. It's high time now the Police Minister and the Commissioner of police look at proactive measures to prevent lawlessness other than reacting to situations. Political heads of Madang have to come together and counter-fund police operations in the township to ensure safety of the people of Madang is paramount in-order to attract good investment and growth of the province.